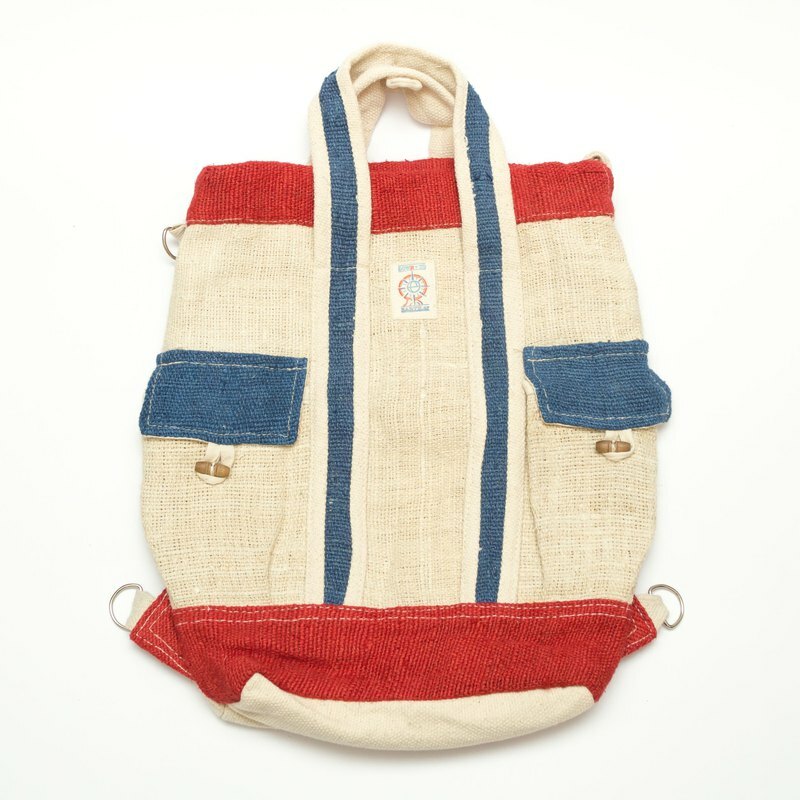 Original designed by EARTH.er and Handmade in Nepal by using hand-weaving natural hemp. :: FEATURES :: 3 different ways to carry this pack; String Backpack, Shoulder Bag & Hand-carry Bag, 2 compartments at front for water bottles or folding umbrella Compartment on both side for water bottle and utility front pocket. Measurement about H38 x W33 /cm (Approximately 20-25L) Original designed by EARTH.er and Handmade in Nepal by using hand-weaving natural hemp. :: All About HEMP :: Natural hemp is a fast growing economical plant. It requests low water consumption and landfield for growing rich fabric material without using pesticide and fertilizer. Certainly natural hemp is biodegradable.